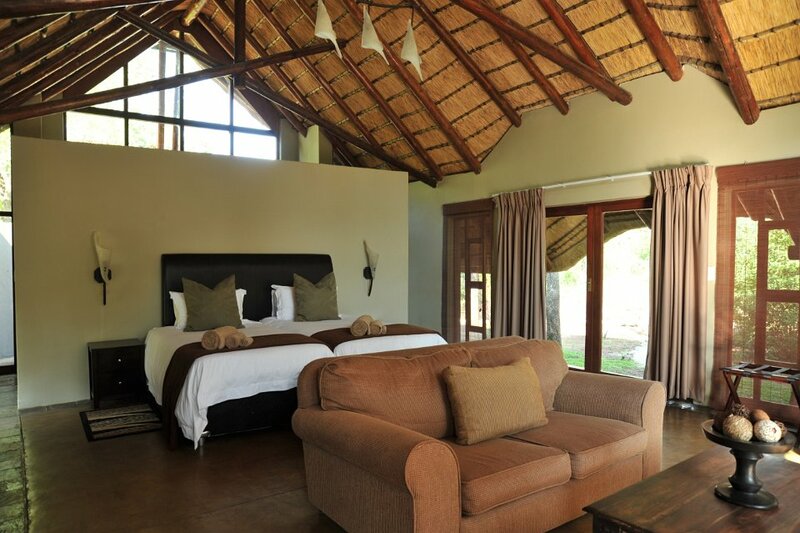 Black Rhino Game Lodge is nestled in a tamboti forest in a private section of Pilanesberg called the Black Rhino Reserve. 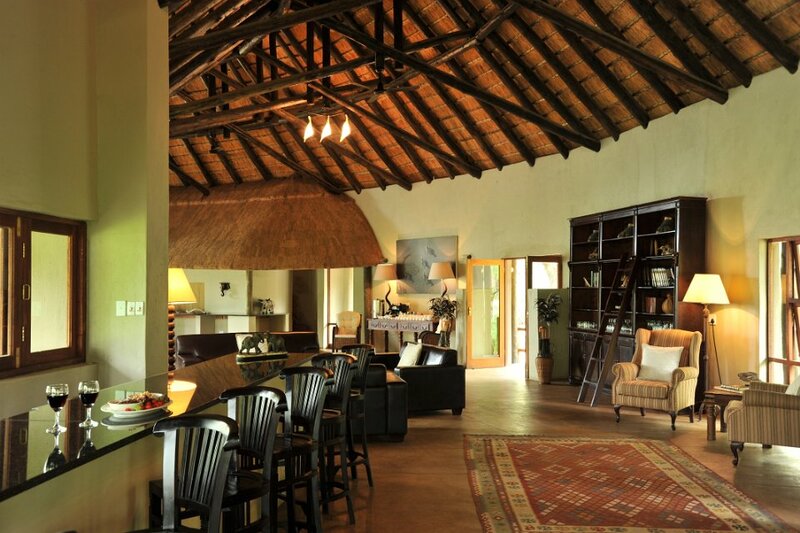 The lodge offers exclusive game viewing in one of South Africa’s favourite parks and friendly 4-star accommodation. 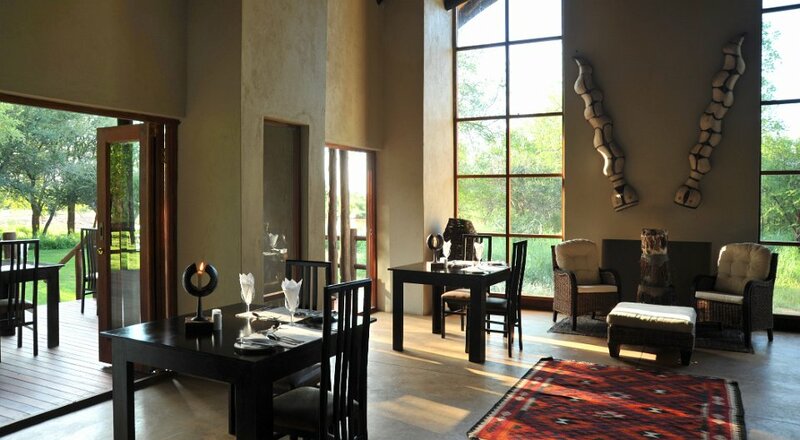 The days start with game drives into secluded valleys and end with the flavourful cuisine of Black Rhino’s private chef. 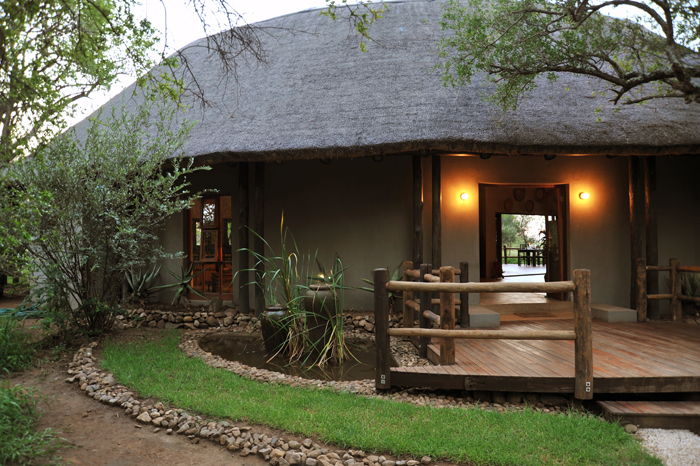 *Please note: Black Rhino Reserve is a private concession of Pilanesberg National Park and no Day Visitors are allowed. 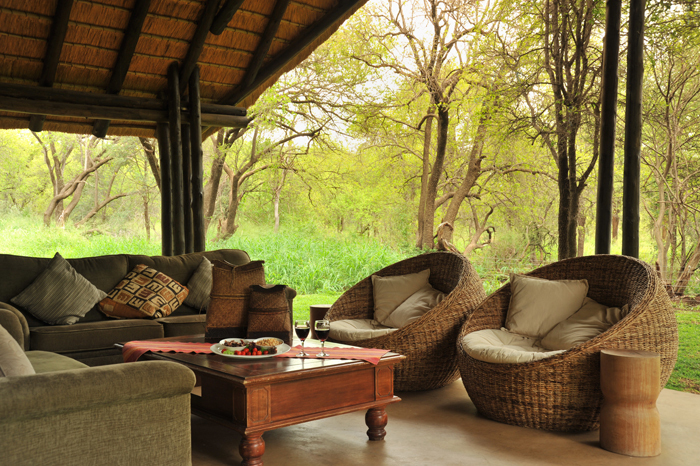 The luxury suites at Black Rhino Game Lodge give guest a private retreat that opens onto a patio overlooking the African bush. 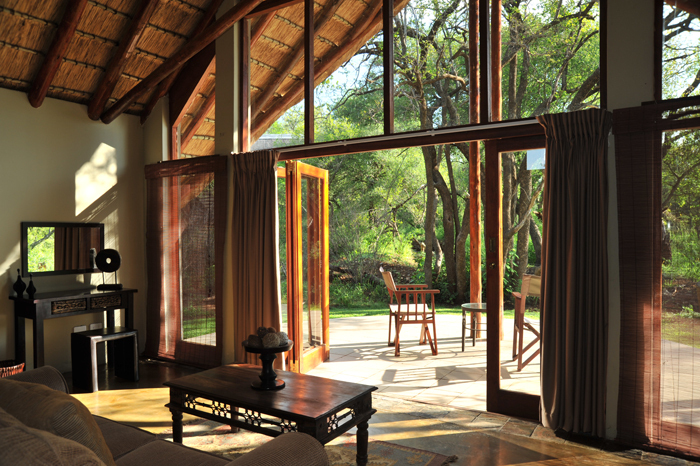 It is not uncommon to view antelope or even elephant from the comfort of your lodge. 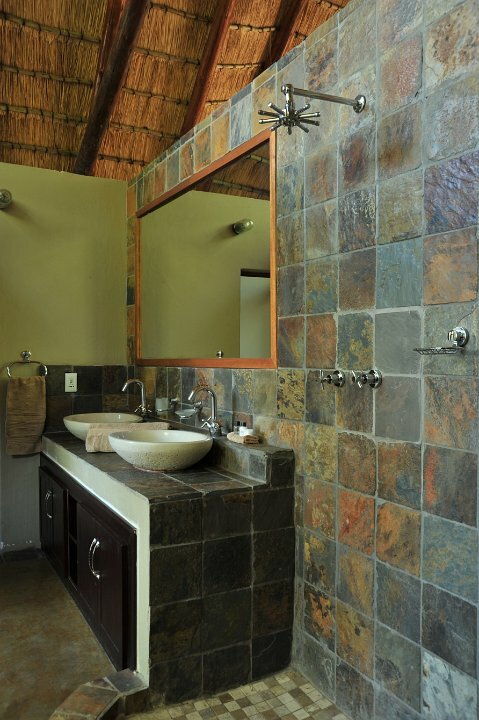 The en-suite bathrooms lead to an outdoor shower and high thatched roofs and large windows give the rooms and airy feel. 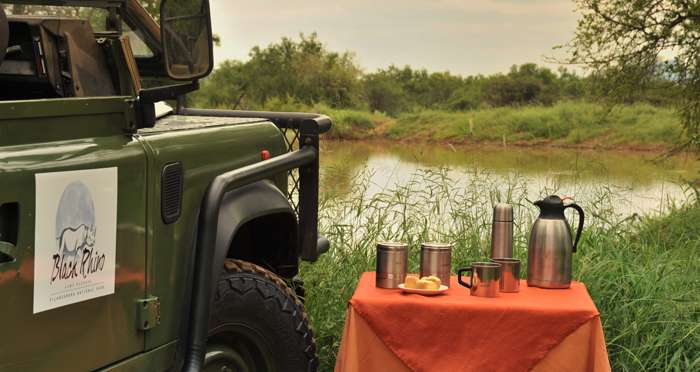 Game drives start in the remote Black Rhino Reserve and explore an exclusive area before heading into the rest of the Pilanesberg Game Reserve. 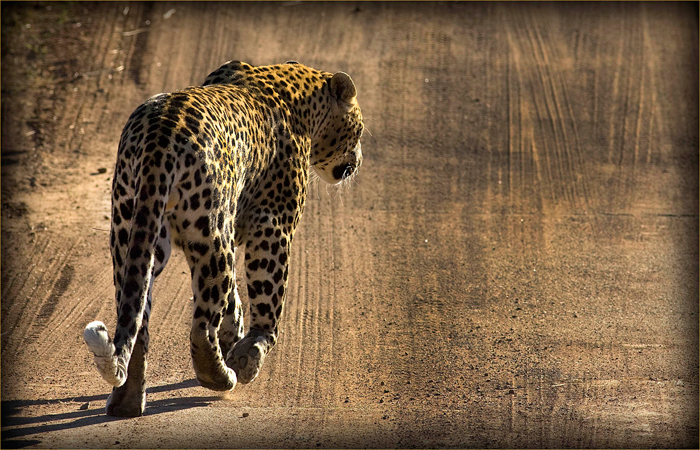 Skilled safari guides explain the secrets of this unique habitat and track down lion, leopard and even cheetah. 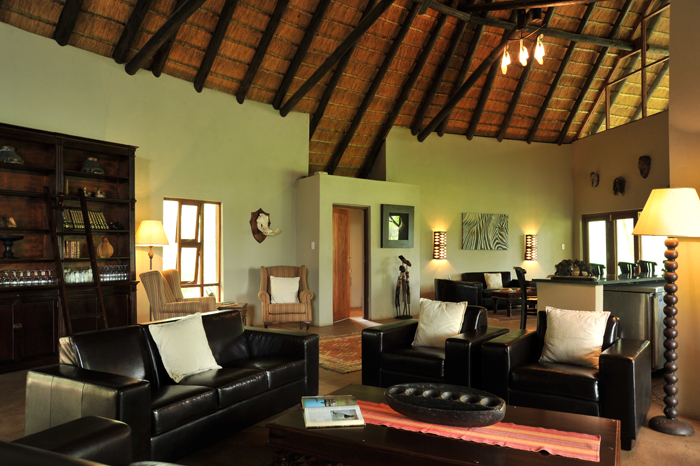 The shared entertainment area at Black Rhino Game Lodge offers guests a fully equipped kitchen as well as a lounge and dining area. 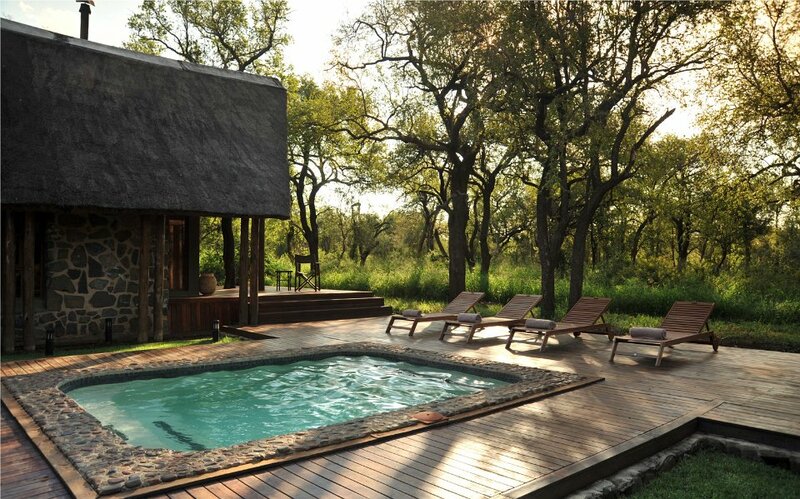 The covered patio and plunge pool invite you to relax after game drives and maybe see some more game from the comfort of your lodge. 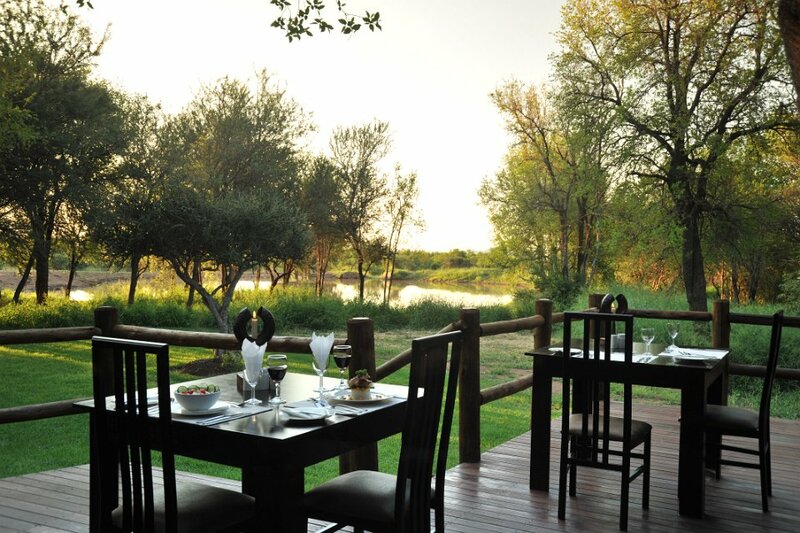 The bar and restaurant open onto the viewing deck. 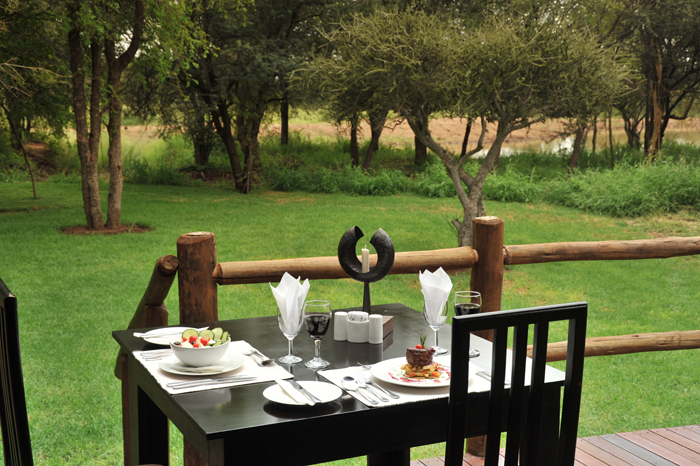 The lodge’s chef prepares satisfying and scrumptious meal throughout the day. 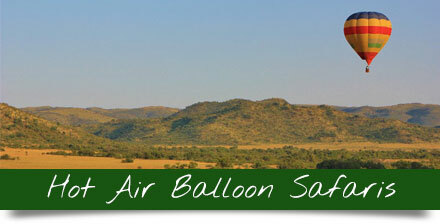 The Black Rhino Reserve is a new addition to Pilanesberg and lies in the western part of the park. 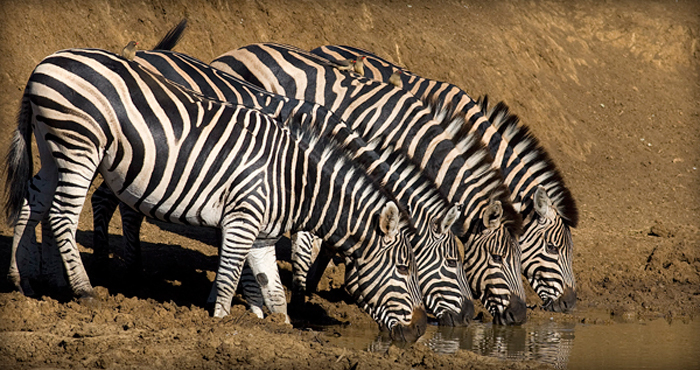 The Reserve is home to most large mammals of Southern Africa and an large variety of birds. 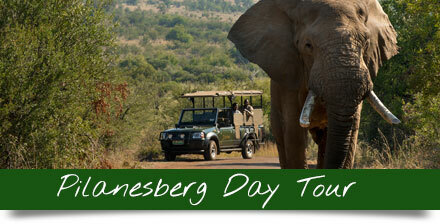 Take the N4 out of Johannesburg and turn off onto the R556 towards Sun City. 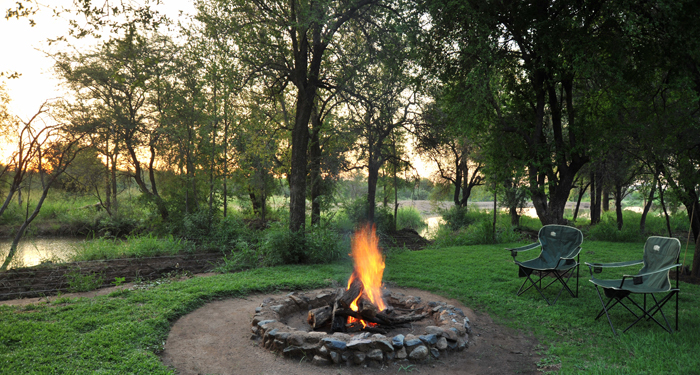 Pass Sun City and continue until you can take a right on the R565. 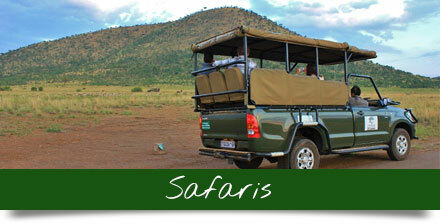 Follow this road for 28 km until you get to the gate of the Black Rhino Reserve. 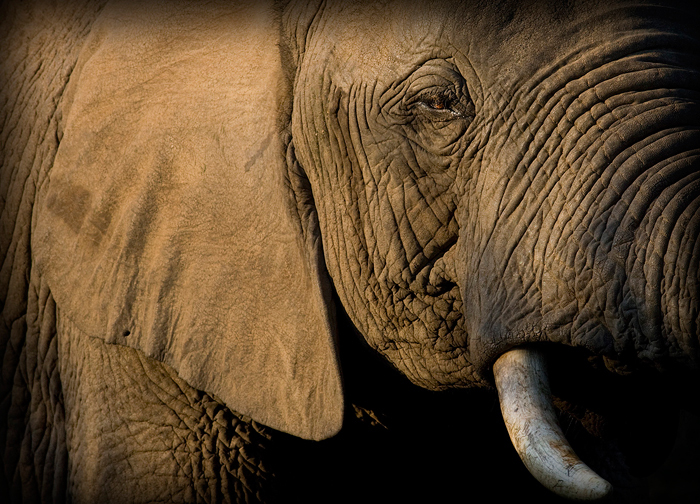 Check in at the gate to arrange your pickup. 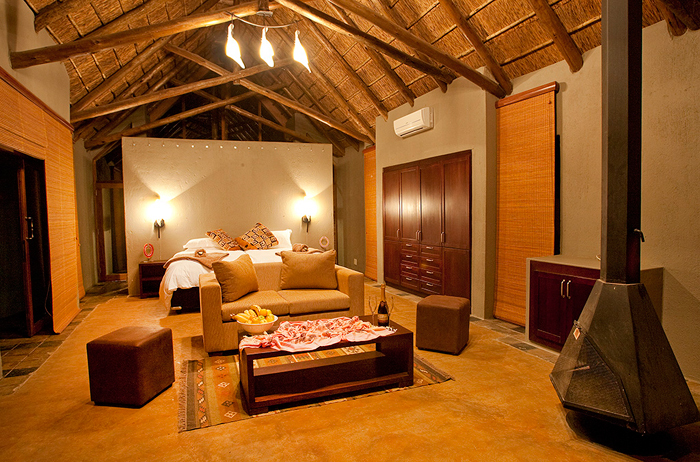 Minimum 2 nights stay over the weekend ( Friday and Saturday ). 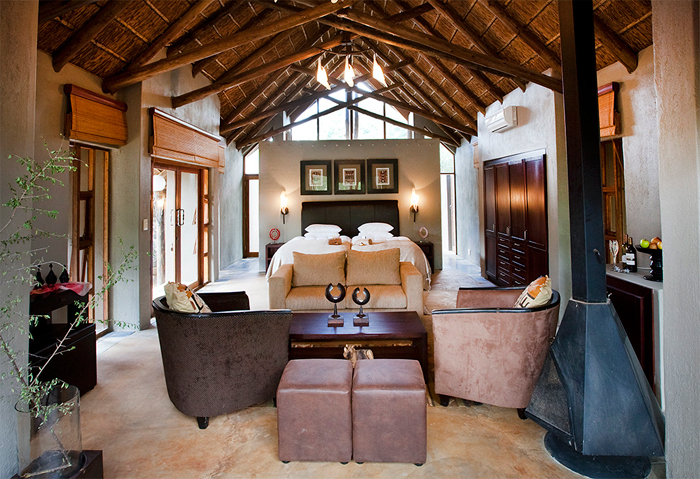 Minimum 3 nights stay required over public holidays. 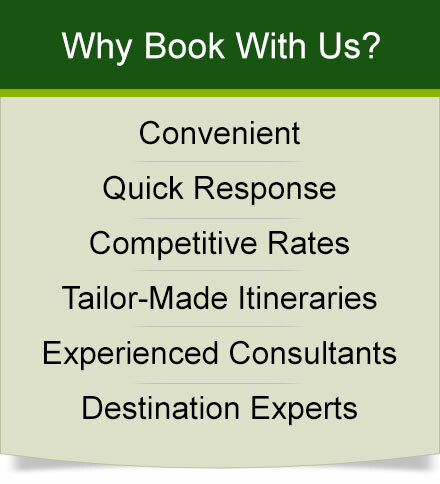 0 – 5 years: Complimentary when sharing with full paying adults. 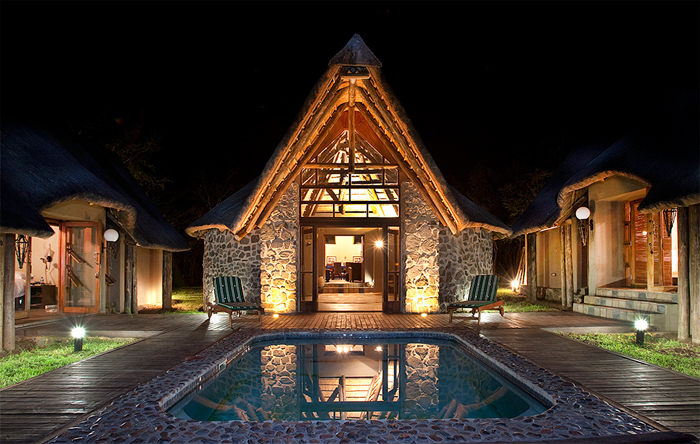 12 years and older: Considered as adults and are accommodated in their own rooms.